The Glam Polish 6th Anniversary Duo (Limited Edition) launches on November 22, at 11am Central and comprises of two jelly holo microglitter polishes in two of my favorite shades. A must have for every purple lover! 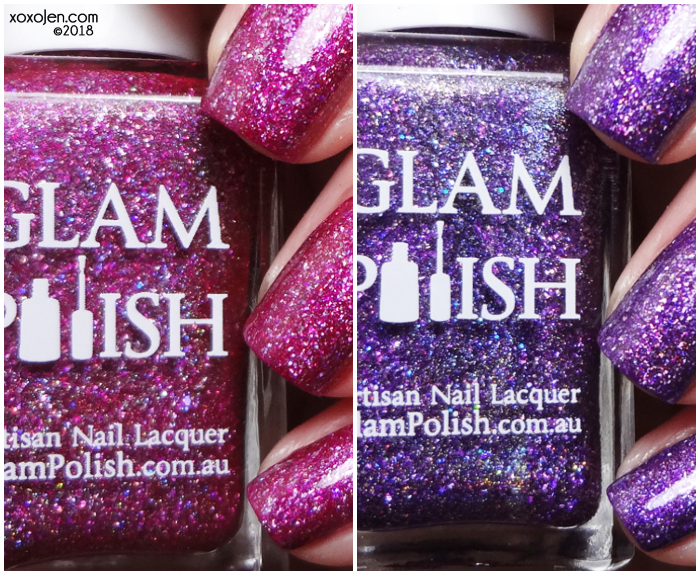 These are both shown in two coats, the formula was great and since these are such tiny glitters, I only needed one coat of topcoat for a smooth finish. You Had Me At HOLO! 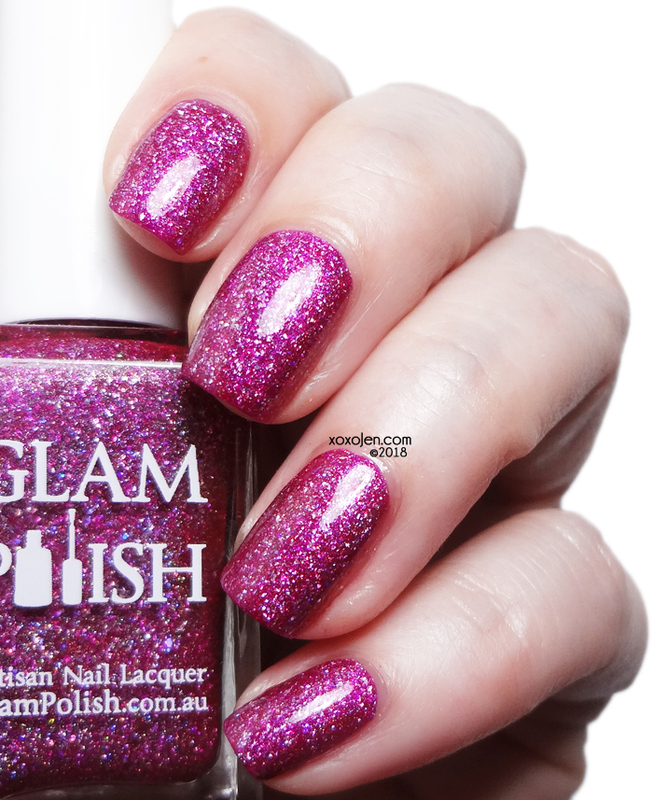 - Fuchsia Ultra Holo with holographic flakies, ultra holo glitter and fine holo microglitter. Leave A Little Sparkle Wherever You Go!- Purple Ultra Holo with holographic flakies, ultra holo glitter and fine holo microglitter. These would also make for a pretty gradient, I bet! 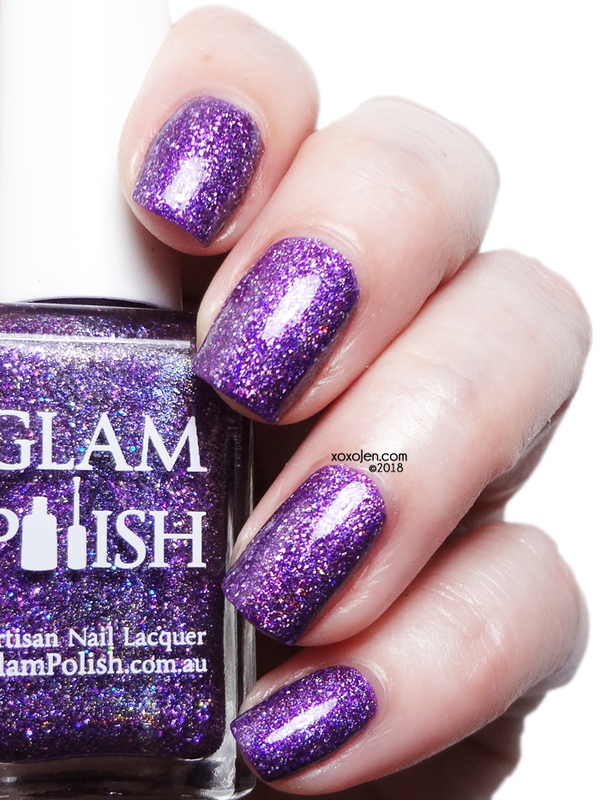 Get yours on 11/22 at http://glampolish.com.au/! 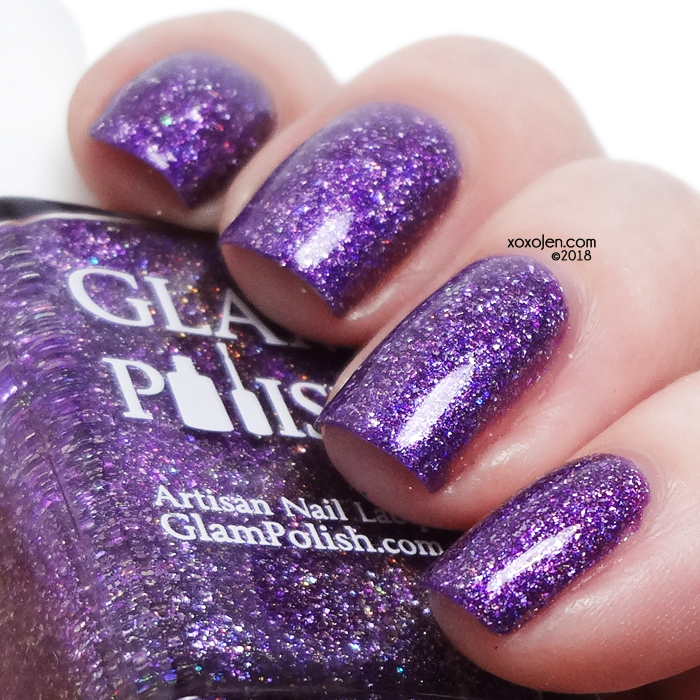 Black Friday Promo: Glam is giving away a free mystery full sized Limited Edition Nail Polish to the first 120 customers who spend $60 USD on products not including shipping in one transaction placed on glampolish.com.au website from launch on Nov 22nd, while stocks last.